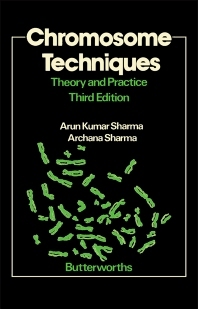 Chromosome Techniques: Theory and Practice, Third Edition focuses on chromosome research. The book first discusses pre-treatment and hypotonic treatment. Pre-treatment for clearing the cytoplasm and softening the tissues; separation of chromosomes and clarification of constrictions; and hypotonic treatment for chromosome spread are described. The text also explains fixation and processing, including fixing of fluids and mixtures and air-drying techniques for chromosome study. The selection also discusses methods for special materials. Study of division in embryosac mother cells; study of chromosomes from thallophytes; salivary gland, lamp brush, and pachytene chromosomes; spiral structure; and secondary constriction are explained. The text also discusses microscopy, including ordinary light microscopy, high resolution autoradiography, and light microscope autoradiography. The book discusses study of plant chromosomes from tissue culture; chromosome analysis following short- and long-term cultures in animals, including man; and chromosome analysis from malignant tissues. The text takes a look at the banding patterns of chromosomes, including banding pattern techniques, C-banding, and representative schedules for comparative study of different banding patterns. The book further describes somatic cell fusion and the chemical nature of chromosomes, proteins, and enzymes. The text is a vital source of information for readers wanting to conduct research on chromosomes.